This apricot tart is the glory of all that is apricot–deeply fruity, tart, and yes, sunny, especially when its made with homemade preserves. I love the crust too, with the zing of lemon zest and a great short texture. The first winter I spent living in Harbor Springs by myself, I spent many hours, many days by myself at my parents’ house on Main Street. I had always wanted to make a silent retreat, and I suppose this was my own self-styled version. Other than a phone call or two, I spent my days in silence. No music—not as a discipline of quiet, but as a completely natural inclination. I didn’t notice that it was so quiet in the house. 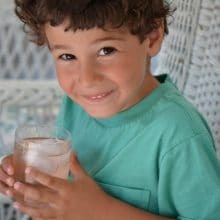 I moved from the dining room table, where I had set up shop extravagantly with my stacks of books and laptop and ceramic mug of pens, to the kitchen, to the little “parlor” room with sofa and television (turned…you guessed it…off), to the green bedroom with the twin bed I’d been sleeping in summers since I was eight. There were two things that broke my silence those winter days: the cold, and the apricot jam. Kitchen on Main Street gets frigid mid-winter. The three big casement windows over the sink are leaky, almost as much so as the back mudroom entryway, where water will freeze to ice. No matter how thick the socks, or how many layers under the fleece, I would respond to the kitchen-cold with surprised gasps and happy expletives throughout the day, every day. I’d hear myself, and laugh. Also: the refrigerator on Main Street is very small. Jars of jam can get pushed to the back and missed for months at a time. Those poor apricot jam jars from the August harvest were just about to give up on me when I realized they were there. I figured they’d be gone, kaput after so many months and having not even remotely been processed for shelf life. All of our jams are refrigerator-style, so we make them and eat them up and that is that. They’re done. But of these two jars, one was indeed gone, and the other … was … perfect. The lid even popped a little pop, a cluck, of the sort that made it seem as though it’d been through the whole heat-sealed drill. If I hadn’t already been on quiet-time retreat, when I tasted a healthy spoonful of the jam I would have been stunned silent. Only reverence could respond to such bright sunny sweet-tart apricot joy on a stark Michigan winter day. After the awe, though, it was all wow, wow, oh my gosh wow. I found myself singing a song of wow. Like sun worship, I went to the apricot sun every day three times, at breakfast and then right after lunch and then doubled up after dinner for dessert. Then my jar was gone. I went to the next refrigerated jar, the one that was gone gone as in gone bad, and debated how yucky would it really be to eat jam with mold in it? That’s how good the homemade apricot jam is. I vowed then that I would stop being a lazy bum with the August apricot jam session and get after the canning. Did it happen? I can tell you that I’ve purchased new jars for canning no fewer than five years in a row. I can tell you I’ve reached into my culinary school memory bank to assure myself that canning is not hard, that people have been doing it forever because it works and because it ISN’T A BIG DEAL. I mean, here’s a girl who devoted an entire chapter of her cookbook to the beautiful Lebanese mouneh, the preserved foods, without a single shelf-life recipe among the fold because she figured you didn’t want to deal with the canning as much as she didn’t. 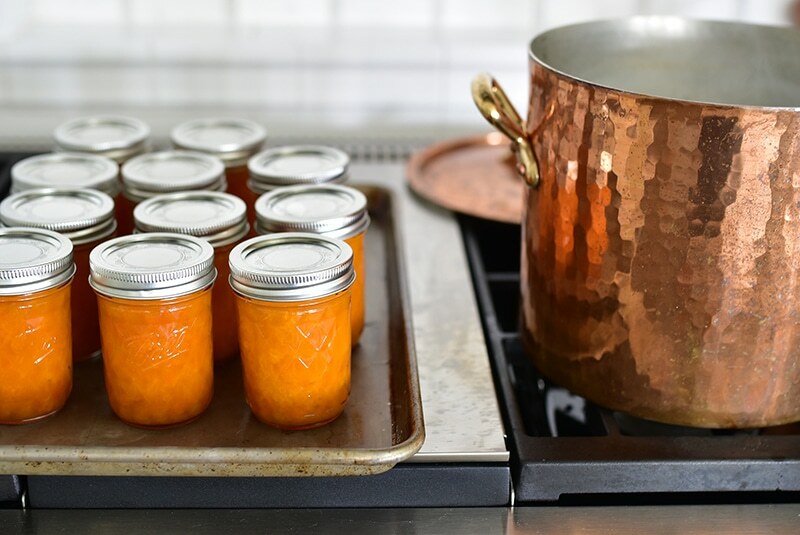 So this summer, between Peggy and Mom and me, we vowed we were going to can the apricot jam so we could pull a jar off the shelf in the winter and know it will be perfect, so we can have at it with a spoon. And so we can all make a truly special apricot jam tart all winter long, a taste of the sun. We put the three heads together and wouldn’t you know: canning ISN’T A BIG DEAL! You already know that, I’m sure of it, but just in case you haven’t done it before or as of yet this year, I would like to say this: get your apricots, and get your jam on. And if you think you’ll just pick up a jar of apricot jam to eat with a spoon or to make an apricot tart: no no! 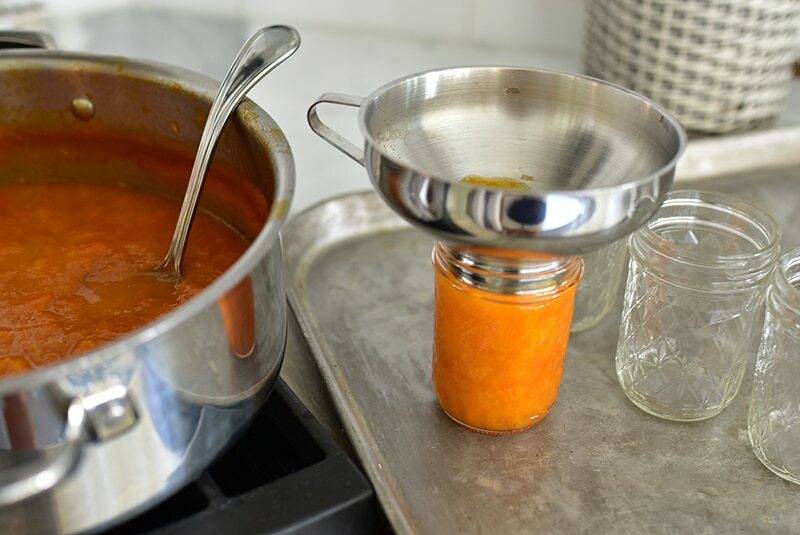 There is just no store-bought apricot jam that can compare to homemade. While we love it all, picking up jars of it wherever we see it wherever we go . . . still, the homemade jam is much more tart, far less sweet, and this is what makes it great. 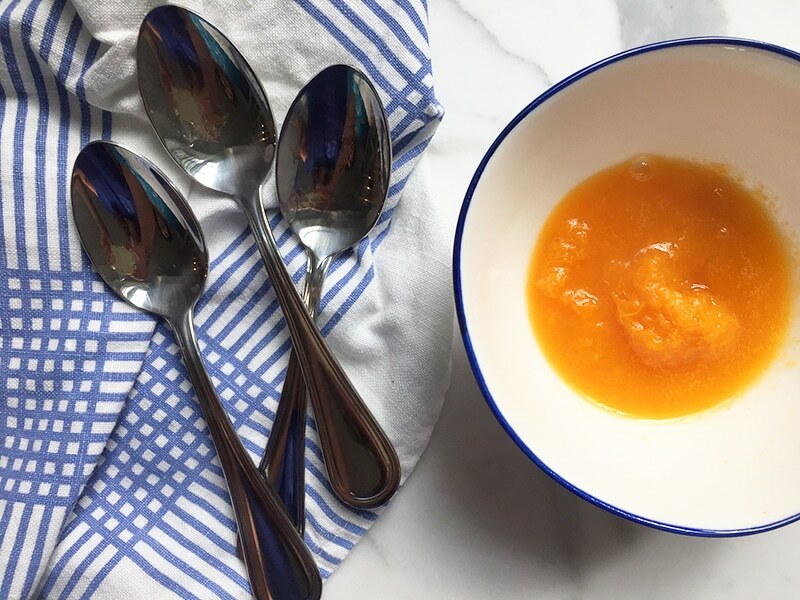 The store-bought versions are too sweet (and too pectin-laden) and you lose that essential sunny bright apricot flavor that is apricot jam joy. While I personally would be delighted to have a bowl of this jam in front of me for dessert, I figure the jam tart is a better way to serve the jam for dessert, especially when there’s anybody there besides oneself. Mama agrees. The tart is beautiful. It is delicious sunshine. 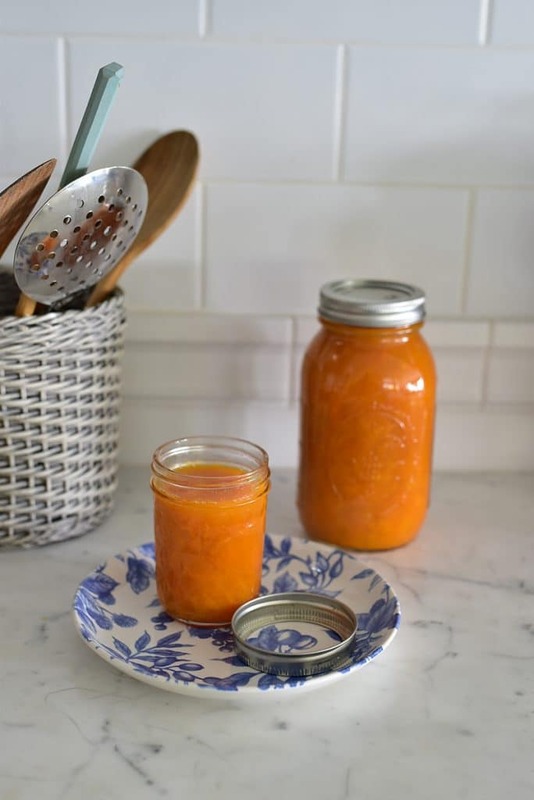 It is the thing that put me over the edge this year to go for the gold and can our apricot jam for shelf life so we could be assured of its goodness and this tart all winter long, just the ticket to ward off the cold and prompt a winter silence into a song. 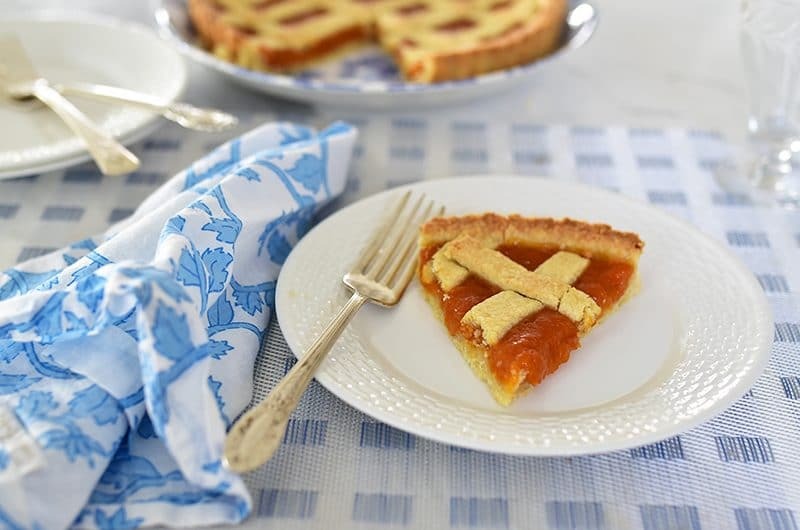 A perfect use for homemade apricot preserves--the homemade version greatly enhances this tart for its own tartness, and excellent flavor. Blend the flour, sugar, almonds, salt, and lemon zest in a food processor until the nuts are finely ground. 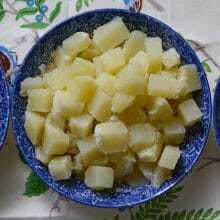 Using on/off turns, cut in the butter until a coarse meal forms. Add the egg and blend just until dough sticks together when pinched. Dump the dough onto a piece of plastic wrap. Gather the dough into ball with the paper; flatten into a rough rectangle 1-inch thick, wrap, and chill 1 hour. 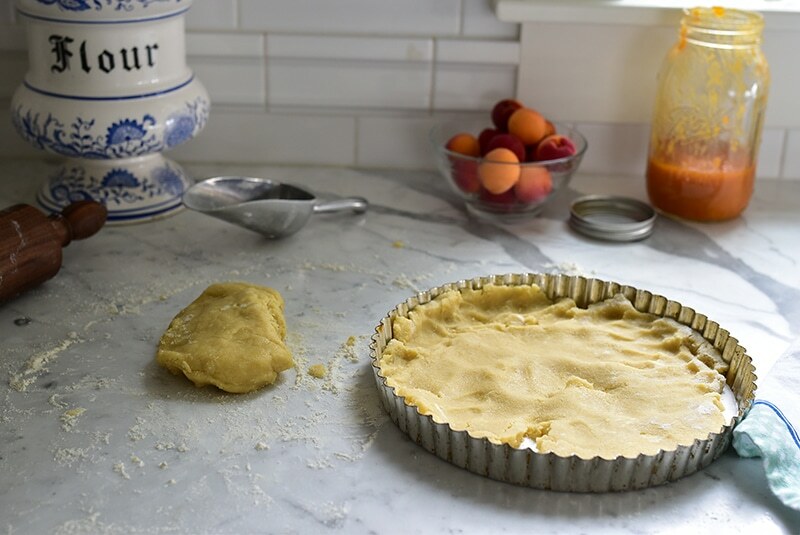 Reserve ⅓ of the dough, and push the rest into a parchment-lined removeable bottom tart pan. Roll the reserved dough out on a floured surface and cut ½-inch wide strips for a lattice-style top. Fill the unbaked crust with about 2 cups of apricot preerves. Lay the strips of dough over top to form a lattice. You can weave it by lifting the strips to lay some under and over, or just lay the second set the opposite way over the first. Bake at 350 degrees for about 30 minutes, until the crust is golden and the jam is puffy. Let the tart rest for at least six hours so the jam sets up and holds its shape when sliced. Remove from the tin (use a knife if needed to loosen the crust from the tin around the perimeter), cut into slices, and serve. Koosa Fatayar (a.k.a. : savory zucchini pies) Your Guide to the Best Hummus You Can Make or Eat. 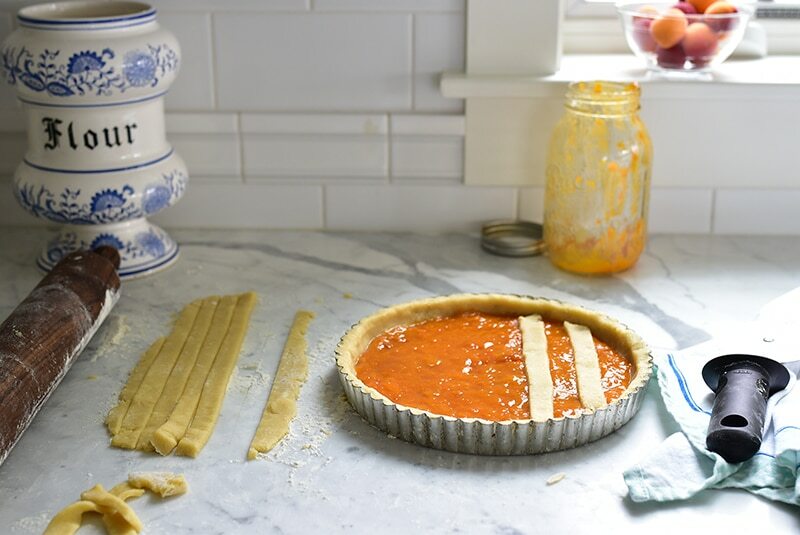 11 Responses to "Apricot Jam Tart + Canned Jam"
Okay I have to make this! It looks and sounds so delicious. The apricot tart looks like a big orange sun, just like you described. You write so well, Maureen, and your pictures are equally as stunning. I can’t wait to have a taste of this tart! 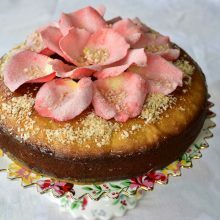 Maureen, thank you for the recipe and for bringing back such great memories of apricot jam and many other confections of my youth. My aunt, Marie would make apricot jam every year from the trees in the backyard. 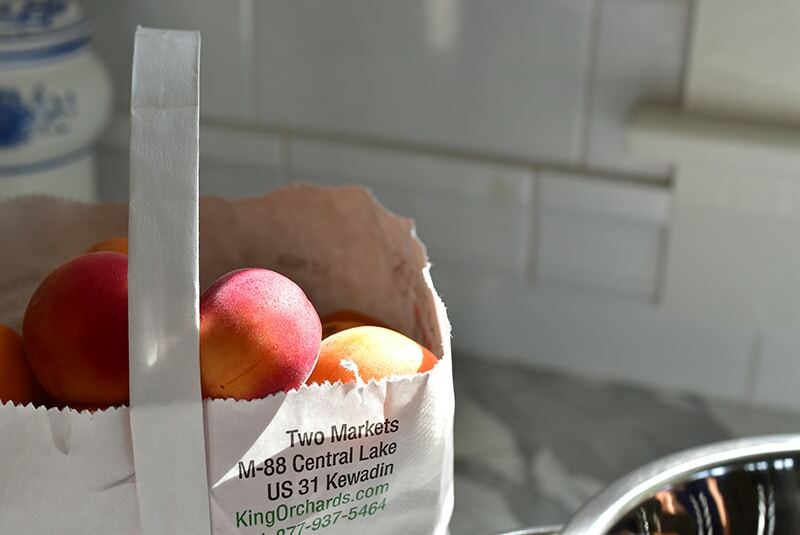 Store-bought apricots just couldn’t compare. My grandfather started those trees from pits that he brought with him from Lebanon. Your posts have inspired me to make again so many treats that I have long retired. Although all of my children enjoy making the foods they grew up with, they still say that it’s not quite like Mama’s. An apricot tart is just what’s needed to top off today. Thank you again. dear Maureen, With all the turmoil and sadness in the world, your memories of simple, good things – as well as your recipes – light up my day. 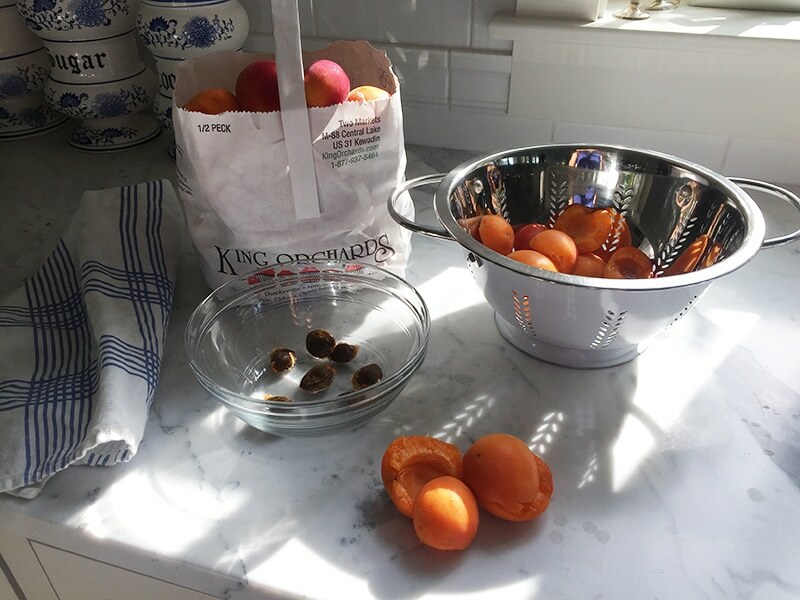 I can’t wait to forage for apricots (even if I end up finding them at the farmer’s market) and trying my hand at making the jam. Many thanks for sharing your love. Every year, my Sitto made the not-too-sweet apricot jam. It was always just eaten as it was made! Apricots from the backyard tree in Cedar Rapids, into her saicepan, to whatever jars she had saved. The jam was “dessert” after dinner, on a ripped piece of homemade bread. Your writings sure remind me of those times. Your post assures me that what I’m finding on my personal Ancestry site is true….we really are so interrelated. 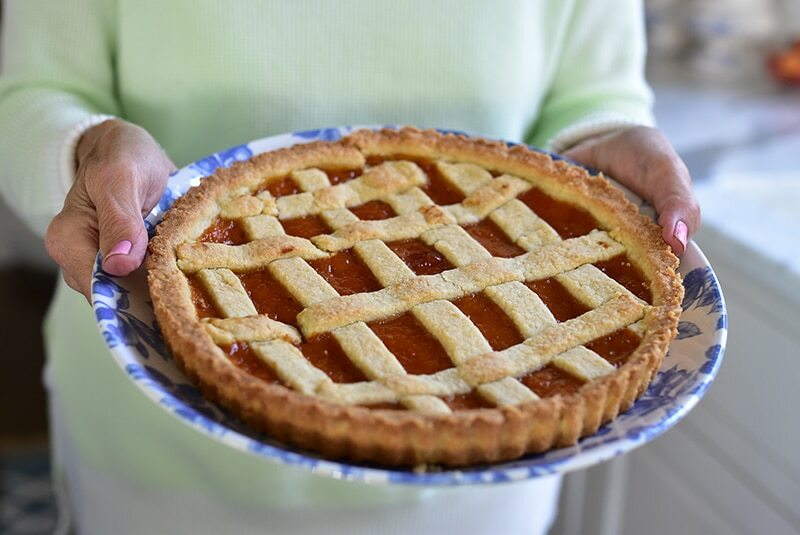 I learned how to make tarts from the Italian Baker by Carol Field. I had moved South and couldn’t find the Italian bakeries I always went to in New Jersey. So similar to your Apricot Tart. If only we could just share our dinners with one another! Maybe we would stop being hateful towards one another. I have homemade plum jam. Guess what I’m going to do with it. Thanks again. I missed apricot season. Would the jam recipe work with peaches?? Delicious with peaches! Add enough lemon juice to balance out the sweetness. Wow, this looks amazing! 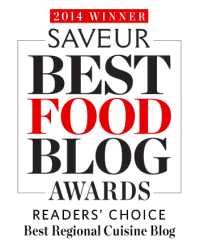 This is the first time I’ve come across your blog, so I’m currently scrolling through all these delicious recipes! So impressive and SO delicious! You can do it!